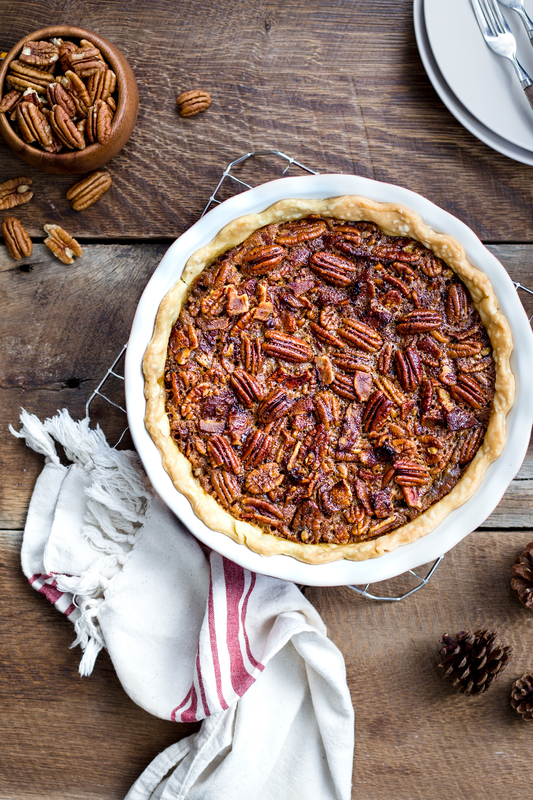 This post, Bourbon Bacon Pecan Pie, is sponsored on behalf of the American Pecan Council. All opinions are, as always, my own. We are at number two of the pecan pie lineup of the week. 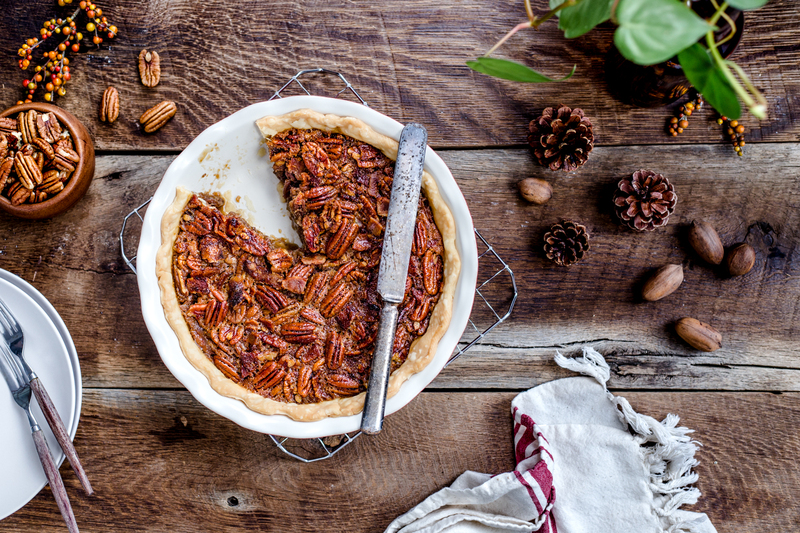 Meet Bourbon Bacon Pecan Pie, the hipster cousin of the classic pecan pie. I mean that in the most complimentary way possible. 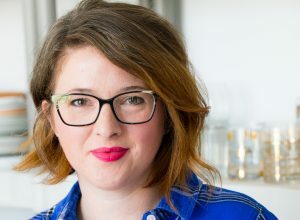 It’s no secret that I’m a fan of bourbon (hello, maple bourbon cocktail!) and bacon, and while I am not usually a fan of adding bacon to dessert, there are exceptions that I will embrace whole heartedly. 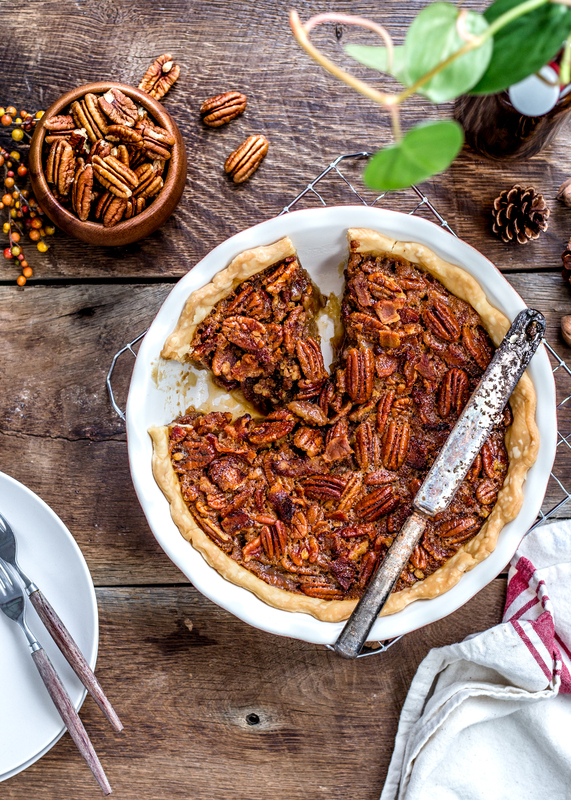 The addition of bourbon to this pie quite possibly makes it even more American than the classic pecan pie. You may remember that pecans are the only tree nut indigenous to America, but did you know that only whiskey that is produced in the United States can qualify as bourbon? I think it’s fitting for the Thanksgiving holiday to be feature ingredients that are made in the US. Most of the pecans found in the US are grown in North America, including thousands of family-owned farms sprinkled throughout the southern states. The bourbon adds a hint of sweet spice to the buttery flavors of the pecans. The addition of bacon adds a touch of smokiness and just enough salt to cut the edge of the sweet pie filling. 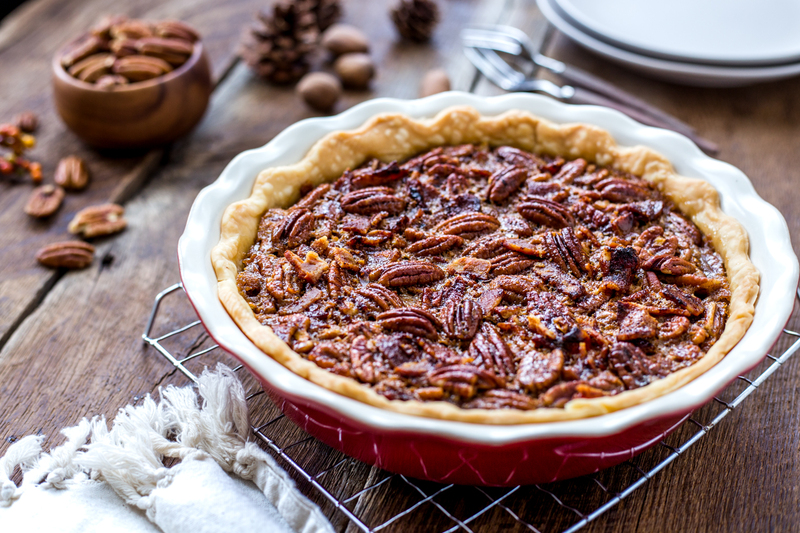 Just like it’s classic counterpart, this bourbon bacon pecan pie can be served up with a dollop of sweetened whipped cream or served all on its own. I took the help from a store-bought refrigerated pie crust, but feel free to use your favorite homemade pie crust. To keep the crust from over-browning, I like to fashion a little foil ring to put around the edges of the pie crust during baking. It’s going to be a hard choice for me to decide which of these pecan pies to make for Thanksgiving, so it’s likely that they’ll both show up. But let’s not forget – I have one more pecan pie twist to share with you tomorrow and it’s one that you won’t want to miss. Place baking sheet in oven. Preheat oven to 350°F. Gently line pie pan with rolled out pie dough. Be sure to press into edges and up the sides. Use fingers or a fork to create a decorative edge of your choice. Set aside. Fry bacon in a skillet until crisp. Remove from pan and drain on paper towels and chop into small pieces. Reserve 1/4 cup of the bacon grease. In a large bowl, whisk together dark corn syrup, light corn syrup, brown sugar, reserved bacon grease, butter, and bourbon. Add eggs and salt and whisk until mixture is even. Fold in pecan halves and chopped bacon. Pour mixture into pie crust and spread evenly with a spatula. Take pieces of aluminum foil and gently cover edges of pie crust. Place pie on preheated baking sheet and bake for 60-70 minutes or until pie is set in center. Remove pie and allow to cool completely before serving or chilling. Pie can be made the day ahead and refrigerated overnight. Allow pie to come to room temperature before serving.